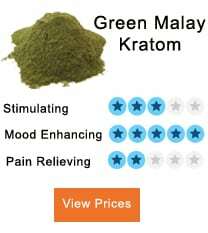 With all this hype about Kratom, one might get tempted to rush and purchase one of the products from an online vendor. Word of caution, a prospective customer, should not get sucked into this Kratom hype until he or she can find a trustworthy supplier. This article will delve into one major Kratom vendor, and then each person can decide if it is worth buying from them or still keep searching for the real deal. 7 What do customers say about Kratom-K? Kratom-K is a California-based Kratom retailer established in 2011, with headquarters in Oceanside. They offer a range of Kratom products in powder, capsules, and strains, which this post will describe in detail. The website incorporates a modern design enabling each user to navigate through all of its offerings easily. Red-vein powder, retaining at $15.95-$195.95. 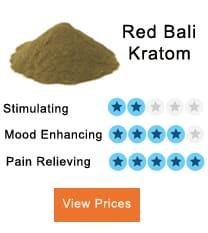 Red vein Bali is famous for its many health benefits, and Kratom-K offers customers the luxury of picking the form in which they want to use it. It contains an alkaloid which reacts with your body in the same way an opioid would, only that this does not result in addiction. 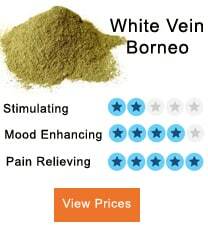 It is one of the mild version of Kratom products and used to relieve pain and stress, as well as an anti-depressant. However, to gain from its positive effects, one must follow the recommended dosage. It can cause an adverse reaction if taken in large quantities, some of which include nausea, headaches, blurred vision and stomach problems. Another product which Kratom-K stocks are White Veined Maeng Da Supreme capsules, which costs $27.95 -$195.95. This product is a finely milled powder which consists mainly of the leaf and not the stem nor vein and contained in a capsule which holds around 5 grams of this powder. They use the leaf because it is abundant on phytochemical compounds. Green Veined Maeng Da Supreme capsules go for $27.95-$195.95 while the Green Vein Maeng Da powder sells for $21.95-291.95. 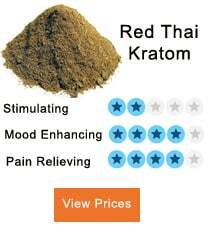 This Kratom product offers the user energy and pain relief. It has the most lasting effects compared to the white and red Maeng Da Kratom, and therefore one should not use it regularly and better still, it is best to seek a medical expert’s opinion before using it. Besides relieving pain and enhancing alertness, it can boost the confidence levels of the user therefore useful for those suffering from phobia and self-esteem issues. Red-veined Maeng Da capsules cost $24.95 -$171.95 while red veined Maeng Da powder goes for $21.95-$291.95. Red Maeng Da is the strongest of the Maeng Da products and has a variety of benefits including relieving joint and arthritis pain, aiding insomnia patients, muscle relaxation, and stress relieving. Dream Kratom Extract capsules– these contain about 0.5gms of extract powder with each bag of dream Kratom comprising two capsules of extract powder. It costs $19.95. Kratom Therapy Superior Red Dragon Powder-it is a 28 grams sachet of superior red dragon Kratom powder and costs $17.95. Apart from the powder and capsules varieties of Bali, Borneo, Sumatra Indonesian, Malay, and Maeng Da, Kratom-K offers other brands which are Mojo, Eden’s Ethnos, Zen Kratom, Quantum Kratom and many more. As much as Kratom-K products are of high quality since they are hand-picked from the most exceptional trees and stored in clean airtight containers for freshness, FDA (Food and Drug Administration) has not evaluated them. For this reason, Kratom-K.com advises users not to take these products to treat, prevent or cure any diseases and only use them upon medical recommendation. This disclaimer also recommends that only persons above 18 years are allowed to buy the products from the website. Kratom-K vendor products are not for human or animal consumption, as per the disclaimer and caution buyers to beware that purchasing the products constitutes agreement. The customer is king may be a cliché, but every business that follows it is sure to gain the loyalty of its customers. At Kratom-K, the customer service is excellent since they get back to anyone who raises an issue, promptly. Through their Facebook page, Kratom-K gives everyone a platform to share his or her views, and if a customer has a complaint, they go to extra miles to resolve it. Kratom-K vendor also has an email address, which they use to reply to any questions raised either on email or Facebook. They urge customers to use this email address since it is the best point of contact to address concerns. Kratom-K provides a chance for its customers to enjoy discounts on their various products. They have a Newsletter signup option so that customers who subscribe to the mailing list will always have current information regarding the company’s products, and best of all, they send monthly discount codes. To place an order on any of the Kratom-K products, one can get in touch with the company through their email address (sales@kratom-k.com) or by calling them on (888) 261-3443. 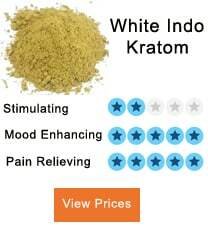 One can also use their postal address which is Kratom-K.com, 1759 Oceanside Blvd STE C #213, Oceanside, CA 92054. Once the order is confirmed, shipping arrangements begin and they base their rates on order weight. They offer USPS First Class Mail as well as USPS Priority Mail on the website and provide free shipping for orders under 15.999 oz. USPS First Class Mail and USPS Priority Mail for those weighing between 1-2 pounds. They also use FedEx Ground to ship orders above 3 pounds. However, the business operating hours are 8 a.m. to 4.30 p.m. from Monday to Friday. Therefore, they do not ship overnight. Any orders placed after 2 p.m are sent the following day while orders completed by 2 p.m. PST ship the same day. Further, orders placed on Friday are shipped out on Monday, and since they also do not work during public holidays, orders will be sent out on the following working day. They, however, inform customers of any inconveniences through the newsletters. They ensure maximum efficiency by sending tracking numbers to the owner of the order, immediately they create a label. Anyone who does not receive his or her tracking number can follow up by emailing them on kratomk@gmail.com. Though USPS scans packages upon creation of the labels, in some instances, it may fail to do so immediately and take a while to update tracking. In other incidences, they may send a package to the wrong address before being redirected to the right location, hence causing shipping delays. Due to this, kratom-K.com doe s not guarantee delivery times. Besides, they do not send a replacement, if they ship an order to the wrong dress as a result of an incorrect address. Kratom-K website also provides a disclaimer of not being responsible for delays in shipping due to the work schedule of USPS, unfavorable weather conditions or holidays. The business also does not ship in several states within the US such as Indiana, Alabama, Sarasota, among others. What do customers say about Kratom-K? Of course, every user gets a different experience from a particular company, and this is no different for customers of Kratom-K, who give various reviews either building or tarnishing the reputation of the business. Some of the reviews from Reddit include a customer who says that shipping by the company is excellent since it is free and takes about a week at most. However, the packaging is not something to look forward to when opening the package because it is only a plastic bag with a label on it. Another user begs to differ on the quick shipment saying there was a lag in delivery since they had even acknowledged receipt of his order. Other customers rate their products from the attribute of the product itself such as taste, so according to another customer, she likes the earthy smell of Kratom, and therefore she must smell it first. She was however disappointed by the scent of the Kratom since according to her, it smelt like burnt trees and the taste was worse because even when washed with OJ, the taste was still bad. However, she adds that the effects were still the same, regardless of the taste and smell. In response to this Kratom-K attributed the smoky smell to the fires that had spread to Indonesia, from where that particular batch had come. Despite the bad reviews, some customers are happy that Kratom-K sends free samples for them to try the product. However, one customer was not pleased with the product therefore even though it was free; he ended up throwing it away. He also adds that his customer experience was not pleasant since even after explaining why he did not order the product, they never acknowledged receipt of the email neither did they appreciate his feedback which they could have used to improve the product. For this reason, they ended up losing the customer. Moreover, some people think the product pricing is too high with one person commenting that $22 is too much for an ounce of Kratom. Still, on money issues, some promoters claimed to have been ripped off by Kratom-K saying the company has withheld their commissions and deleted their accounts. All in all, Kratom-K is highly regarded as a company that sells high quality and reliable products and provides speedy shipping, which is also free for products worth over $75. If the price is a concern, one should compare with other vendors, bearing in mind that they should compromise quality for the money. After all, cheap is expensive in the long-run. CouponBirds: It works with suppliers to provide the highest quality real-time coupons and deals to customers. They have their updating system to ensure the accuracy of vouchers and avoid disappointing customers with outdated coupons. Since Kratom-K is a top brand, it uses coupons and deals to promote sales of its products. Some deals include 5% off to 15% off on Kratom-K products. 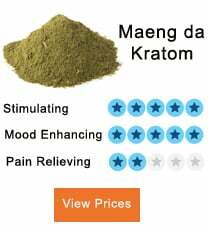 CouponFollow: Kratom-K coupon codes are also available at CouponFollow where one can save 15% off by using the coupon codes. It works by tracking coupon codes from online vendors to assist consumers to save money. Besides, they give customers the option to connect with Kratom-k and get to see their current promotions by accessing the Facebook and Twitter social network platforms. At this site, one must, however, have a twitter account to enable their full participation in also helping other customers get to know which code worked for them, as well as flagging those that did not either due to expiration or using the wrong domain name. However since they cannot guarantee the authenticity of any coupon codes, one should visit Kratom-K website and check out before proceeding to make a purchase. CouponChief: They offer Kratom-K coupon codes, and one can conveniently remain in the loop of any current codes by signing up and getting promotion codes in their email, once a week. They ensure that any coupons put up on their website is valid since members validate and rate the coupons to ensure they work. For vendors such as Kratom-K, they benefit when they sign up since the site’s Pays-2-Share program pays the retailers 2% of the sales generated. At CouponChief, they present a particular day’s top coupons for Kratom-K products which range from between 10% to 15% off. 360CouponCodes: In this website, they find the latest promotions and keep updating the page therefore when searching for coupon codes for Kratom-K products, one can find current coupon codes which can go up to 20% off. However, they also list expired coupon codes but encourage consumers to try them out since they may still work and enable one to save some money. Shopra: At Shopra, the customer is sure to get any promotions related to online shopping. They advertise coupons and discounts such as for Kratom-K products, where one can save up to 15% on specific items or $45 on discounted prices. Given the many positive testimonies and few bad reviews of Kratom-K vendor products, one can quickly conclude that they are worth giving a try before dismissing them. Besides, the fact that they offer free samples and coupons means one can save money while testing the quality of the products to enable making an informed decision.